This is a partial preview. Full document is 93 slides. View large preview. It stimulates your creative and strategic thinking in the direction of breakthrough change and quantum leaps, and puts you in the right mindset for strategic thinking. It helps establish the scope of research you need to conduct in connection with strategic planning, be it internal or external. You can write your tentative answers directly in electronic form or on paper, hence a record can be kept of the answers for extra stimulation and benefit. >>> IMPORTANT NOTE: This guide is included in the discount pack offered by Dr. Stephen Sweid with the title: - THE PENTACLE OF BREAKTHROUGH STRATEGY: DISCOUNT PACK -. This is a comprehensive pack for breakthrough strategy with 5 specialized guides produced by the same author on Flevy. This strategy-inspiring product contains a few hundreds of very stimulating and diverse questions geared towards strategic thinking and breakthrough performance. Questions were carefully chosen for maximum strategic coverage and creative impact, and for comprehensive coverage of relevant key business issues. Only the creme of the creme has been included. Strategy is essentially about systemic thinking: Multiple perspectives, i.e. looking at things from different angles, are used in the questions for each business domain and element to broaden coverage and maximize strategic and creative thinking. Same applies to use of different approaches in integrated sets of strategic questions, e.g. 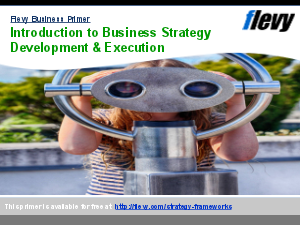 SWOT, Balanced Scorecard, Blue Ocean, business plan, and many others. Practicality: Besides its inspiring role, approach is also very practical, including logical sequences and tabulations of questions, but indeed including space for direct writing of keyword answers, in electronic form (on the laptop) or on the paper printed material. Hence a record can be kept of the answers for extra stimulation and benefit. All questions are numbered. Main Purpose is to stimulate creative and strategic thinking in the direction of breakthrough change and quantum leaps, and to put the manager in the right mindset for strategic thinking. It is a refreshing and warming up exercise for the mind. It acts as a recap of all key questions that the user needs to ask. Another benefit of this recap coverage is to establish the scope of research the manager needs to conduct in connection with strategic planning, be it internal or external. Fact is that most of the questions would require thorough research to be answered adequately for maximum benefit. This material is equally applicable to a Corporate setting and SMEs. This document acts as support to another Road-Map document produced by the same consultant: Formulating a Breakthrough Strategy, Flevy. This strategy- inspiring product was developed by Dr. Stephen M. Sweid, a business consultant, researcher and trainer with over 20 years consulting experience on the international scene: Europe, USA, Middle East and Far East, covering a wide spectrum of industries, including hi-tech. Consultant specializes in quantum leap strategy and innovation. >>> This material can be also delivered as in-house training course or workshop by the same consultant / trainer. 20 Integrated strategic SETs of Questions: SWOT, BSC, Blue Ocean, critical issues, Business Plan . Strategy Development? Breakout Strategy? Competitive Advantage? Or something else.